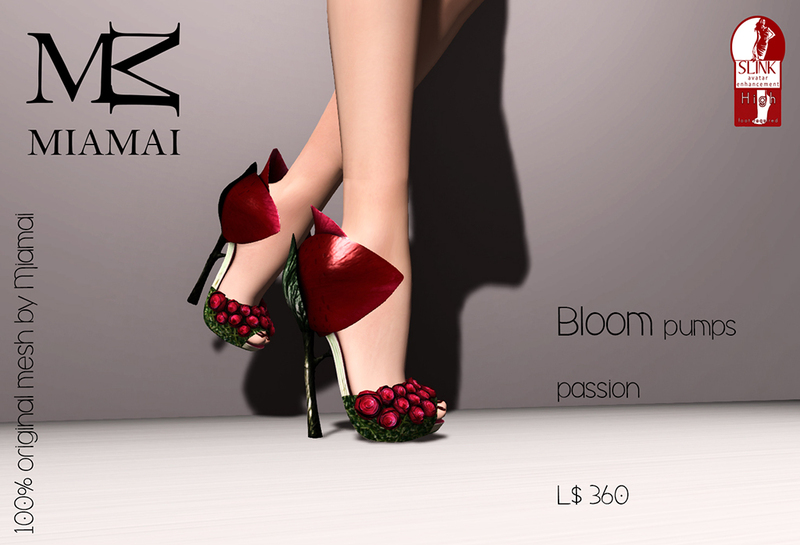 MIAMAI is in the October round of We ❤ Role-play with the quirky and down to earth Trunka Platforms! When you wear these you feel like an ancient, dark, beautiful earth goddess. 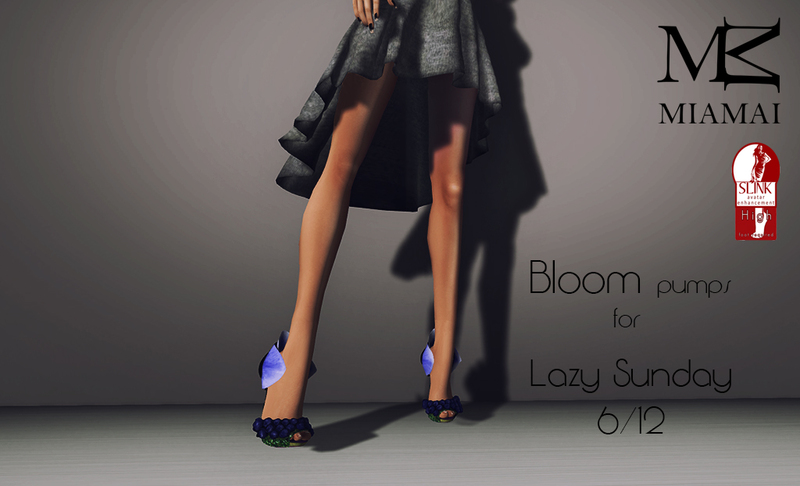 Or even a Dryad stepping out from her tree to show the beautiful curve of her feet! 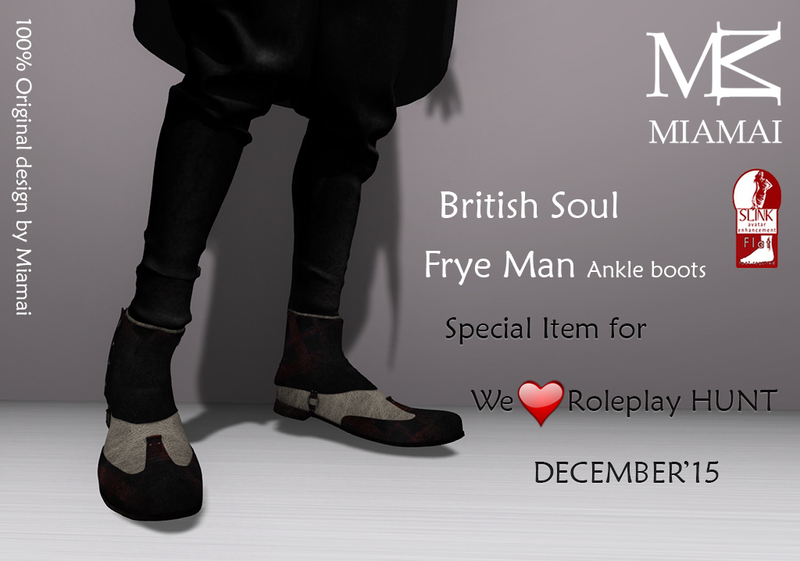 Or just someone who loves unique and fun heels! 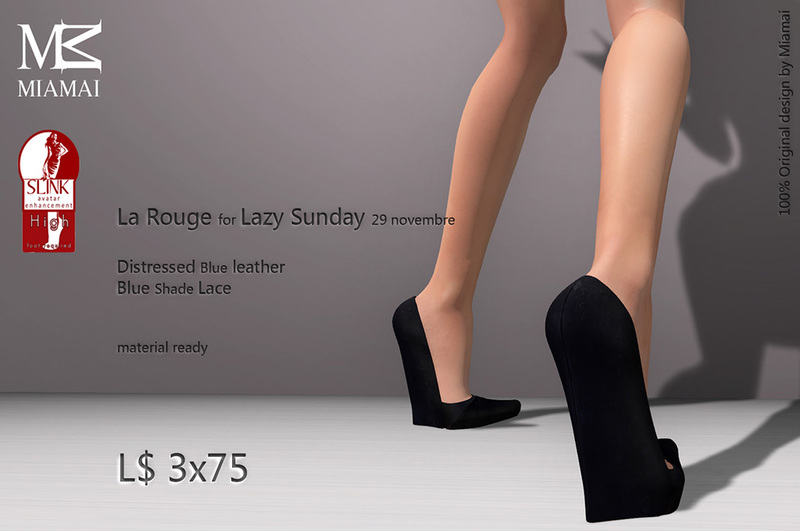 Either way the Trunka Platforms are amazingly detailed and just a blast to wear. 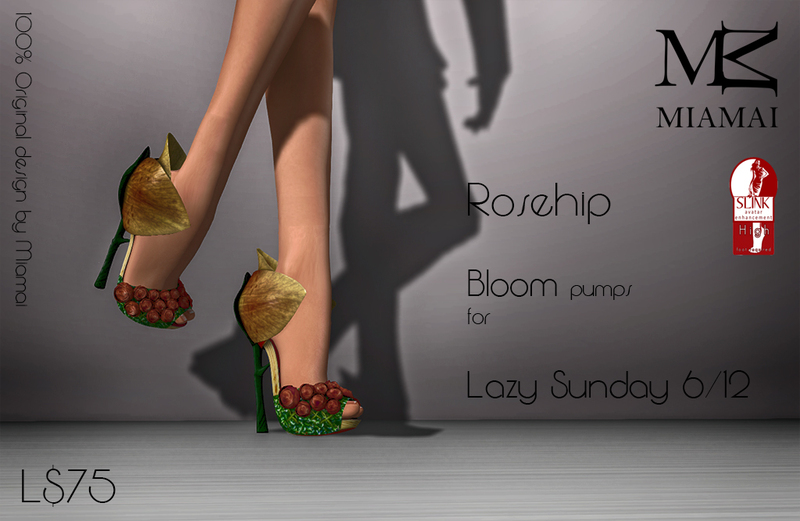 Walk of the path in the forest and travel wearing the Trunka Plaforms only at WE ❤ RP! 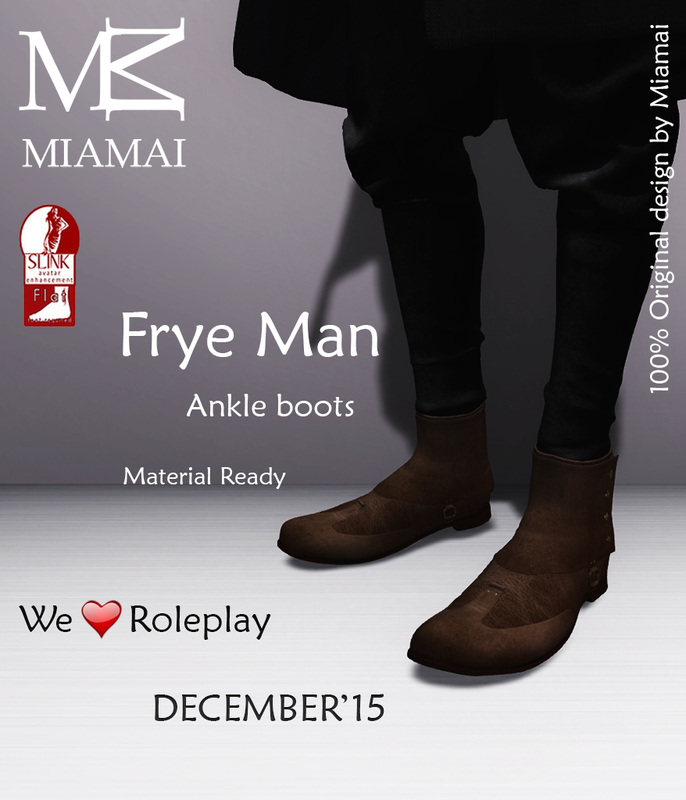 MIAMAI Trunka Platforms are 100% original Miamai mesh, add-on for SLink High Feet, materials, only at We ❤ Role-Play, and 25% off for the duration of the event. 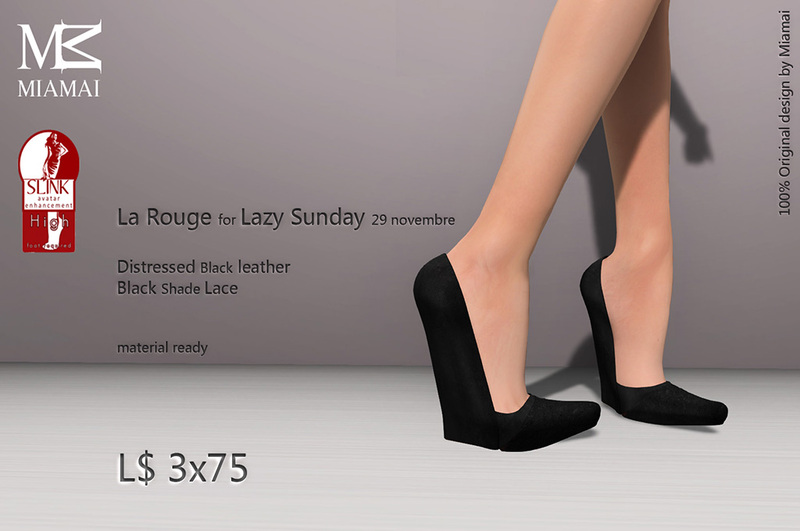 24 HOURS ONLY SUNDAY NOVEMBER 22ND, 2015! 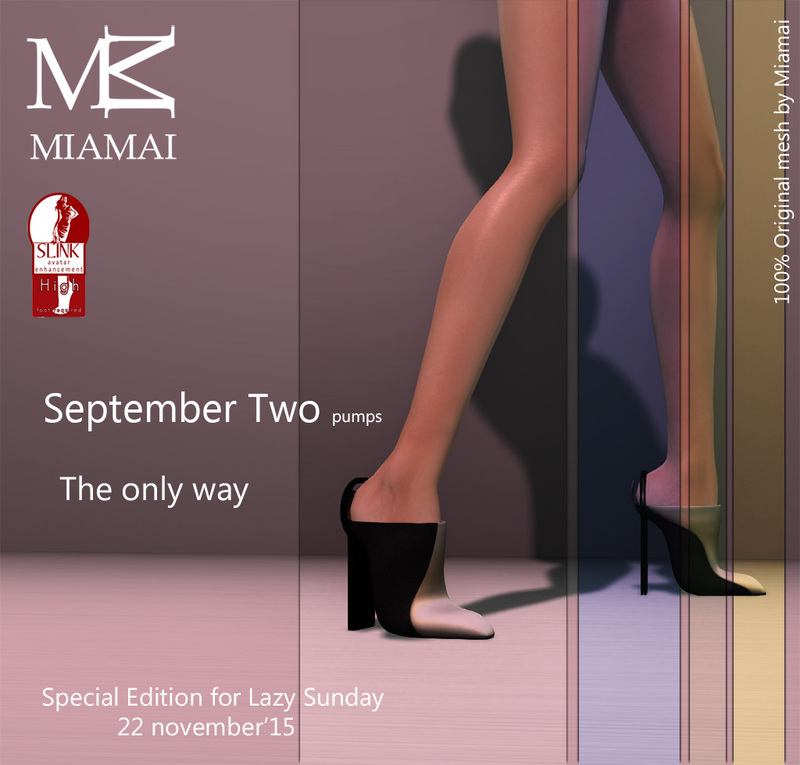 Miamai is in Lazy Sunday and Pill has designed a Special Edition of the September Two Heels, the September Two-The Only Way Pumps and discounted them to 75L. 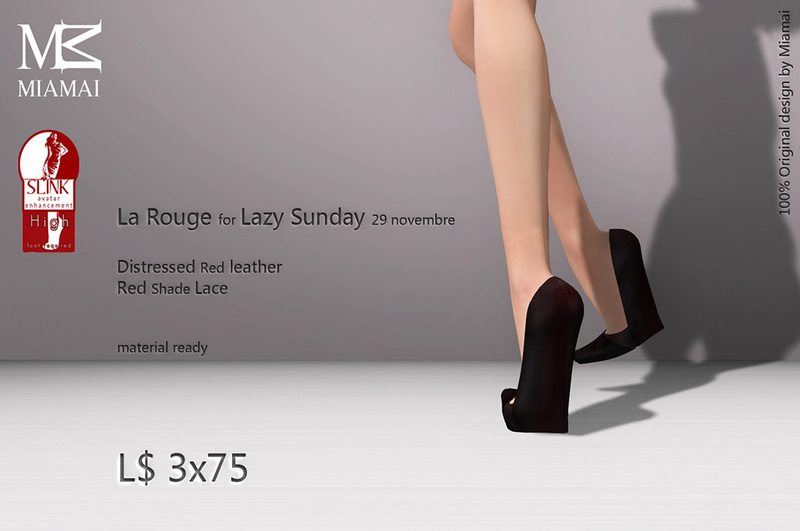 So unique and relevant these dual toned leather pumps will surely find themselves regular players in your styling repertoire. 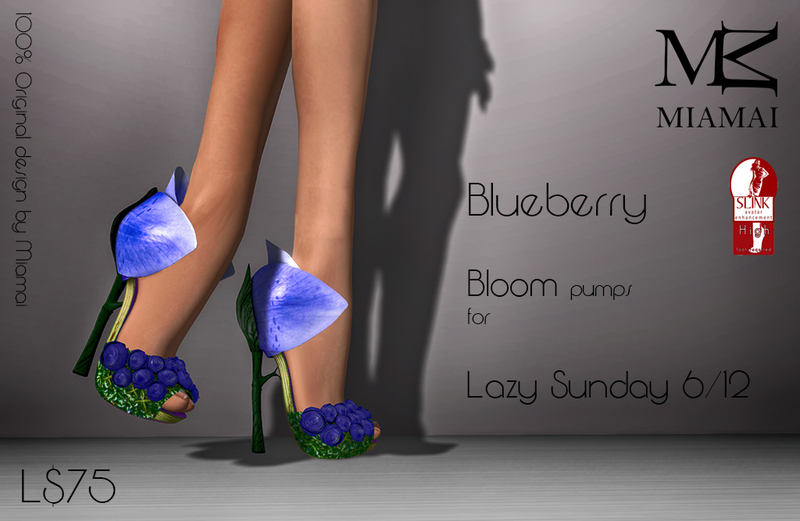 The September Two-The Only Way Pumps are only discounted from 12AM until 11:59PM Sunday the 22nd of November then disappear back into the cobblers vault! 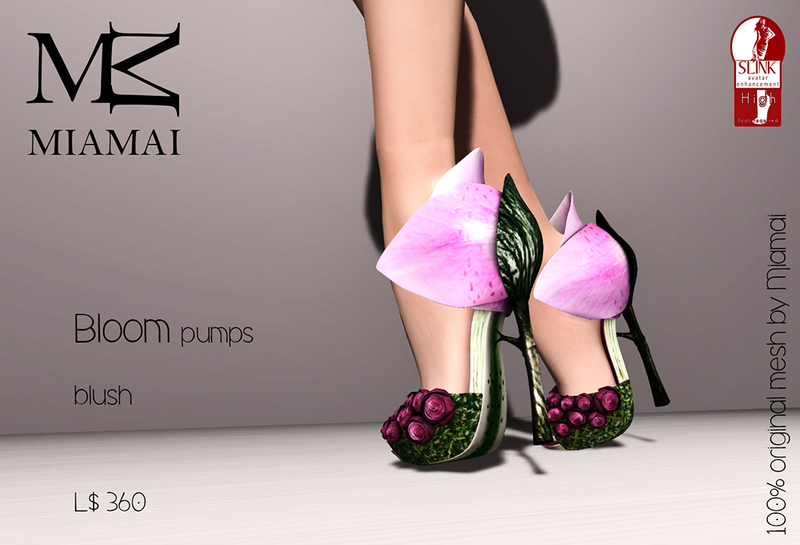 September Two-The Only Way Pumps are copy, no modify, no transfer, 100% original Miamai mesh for Slink High Feet, only available 24 hours, only 75L, and only at the Miamai Main Store!